June 16 was a day for the Amani children to speak up and be heard. A delegation of 17 children represented all their friends during the celebrations of the International Day of the African Child in Moshi. We participated in a mass rally to request the government to do more to protect the rights of children in Africa. Hundreds of children from different schools and centers got together to celebrate their day. Being a children’s celebration there was plenty of time for fun and our acrobatics team left everyone excited after a great performance. We came back with a group of 17 proud children. Editruda joined Amani as our new Singida coordinator in January 2016. In Singida she is the one making sure the children are getting the best care. Editruda developed a strong commitment to help vulnerable children after working as a child protection officer in refugee camps for two years. For her, the best part of working at Amani is all the new things she is learning from the staff and from the children. She was especially surprised to learn how street children travel from city to city, jumping on moving trucks without the driver’s awareness or hitchhiking; risking their lives. The biggest challenge she had to face during these six months was at the very beginning; when everything was ready for the new center to start operating, and the Singida street outreach had started, the local government said they needed an extra permit. It was really challenging for the team because the delay made the children doubt about their intentions. Trust is really important when working with street children. Fortunately the first eight children were allowed to come to the center in May and these challenges are all part of the past. 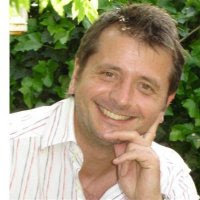 Today we would like to remember Berend who passed away in May of this year. He was a good friend of Amani and of our children and the first person ever to include Amani Children's Home in his will. We will miss you and remember you. Your legacy will be kept alive by the children you helped. Thank you for all you have done for Amani. We want to give you two good reasons to be proud of yourself: two new projects that we have been able to start in past few months. Thanks to your continued generosity Amani is growing and, together, we are able to help more children, in ever better ways. On 6th of May 2016 we inaugurated the Youth Transition Houses and opened a complete new chapter in the history of Amani Children's Home. The new project has been named "Tunaimarika: Amani Youth Growing Strong" and will help the Amani youth – especially those who don’t have families to be reunited with – start a successful independent life. Two months later, in July 2016, we had the official inauguration of the first-ever Amani Branch in the remote city of Singida. 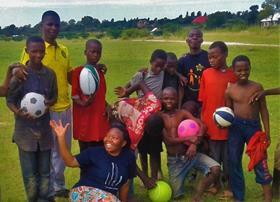 Ten members of the Moshi team traveled to the city to share this happy moment with the new Singida team. It was great to see how much the staff achieved in Singida in only a few months. The children's performances were the highlight of the day. Thanks to them everyone - staff, guests and children - had a great time. Today was a long day for Abduli. In the classroom he was struggling to read those long words and felt really frustrated. He had a great time in the evening however; he found some scrap paper and learned to make planes from his friend Daudi. Now, feeling sleepy and lying in bed with a full stomach, he reflects on the last months. Many things have changed for Abduli since he came to Amani in January; now he finally has a place to call home. Abduli never had a real home before. Born to a very poor mother and an alcoholic father, he had a place to sleep but was not given any attention. Since he was very young he grew used to life on the streets and to fend for himself and his younger brothers. One day his father disappeared, leaving his mother with four children and no income at all. Being the older brother – at the age of 9 – Abduli was kicked out of the house and sent to look for his dad. Abduli moved to the nearby city of Arusha and became a homeless child. In Arusha he met Gasper (one of Amani's street educators) who convinced him to come to our children's home. But during the first days he struggled a lot; he didn't want to sit quietly in class and would get very angry for simple things, fighting with the other children often. It was a huge battle to get him to wash his clothes and take bath every day! But he is doing much better now, and although he struggles with long words, he has already learned to read and write basic sentences and now is able to count. He also loves to show off his trick to walk on a big truck tire. Thanks to you, Abduli is growing into a happy and healthy child who dreams of becoming a pilot. By joining our Monthly Giving Club you give Abduli a safe place to live, an education and a happy childhood. Your generosity transforms lives. Want to learn more about our Monthly Giving Club? Click here. The Kiladeda farm is bustling with life. Since the new farming teacher joined Amani the farm has been completely transformed. 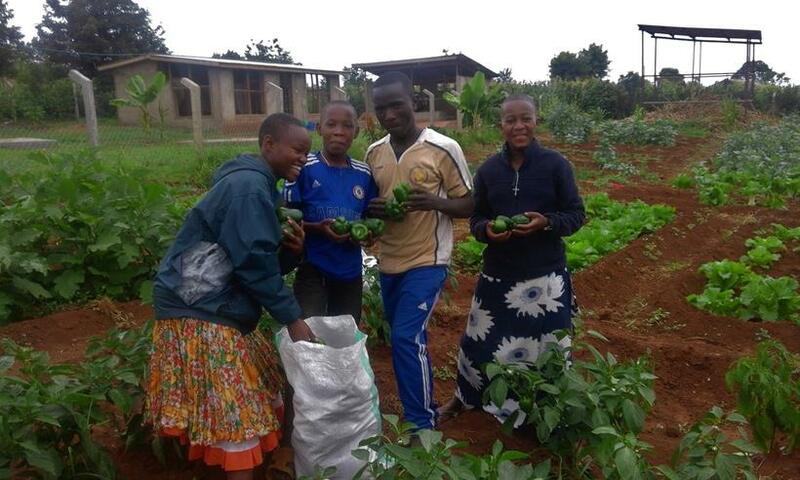 During the past few months the children worked very hard to prepare the soil, divide the farm in small plots and beds, make a nursery for the new seedlings and fertilize the soil with manure. When the rains finally came the results showed off. The children at Amani are eating more vegetables than ever and twice per week they bring back sacks full of Chinese cabbage, green peppers, eggplants and other vegetables. These are the fruits of your generosity. Thanks to you Amani is becoming better and bigger, helping more children in need. We hope it will make you happy to know how many lives you are helping transform. THANK YOU! One of the easiest ways for you to make sure Amani can keep pursuing its mission in the future is to include a Charity Bequest for Amani in your will. As Berend, you will leave an enduring legacy through the lives of the children you will help transform. If you have any questions just send an email to Ana (ana@amanikids.org) and she will be happy to give you more information.